Last week American Idol kicked off Hollywood Week and I was serving up Cali inspired recipes for Yahoo! Music’s Lyndsey Parker and her Reality Rocks Blog! Tonight it’s girl’s night in Hollywood so I’m keeping it dainty, delicious and super simple. Apparently I’m on a goat cheese kick so I had to satiate my taste buds with one more recipe full of my favorite cheese’s punchy flavor. 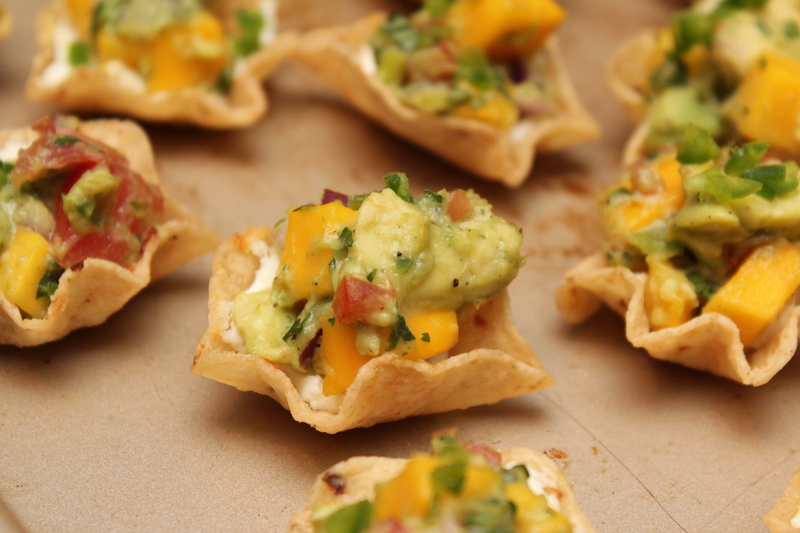 The sweetness of the mango paired absolutely perfectly with the goat cheese. 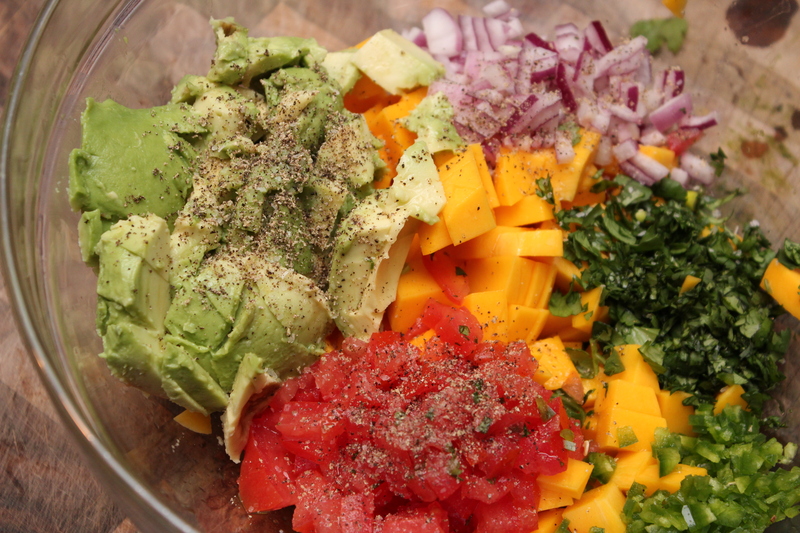 Mix the mango and next 8 ingredients, through the black pepper, in a large bowl until well combined. Taste and adjust seasoning accordingly. Set aside. 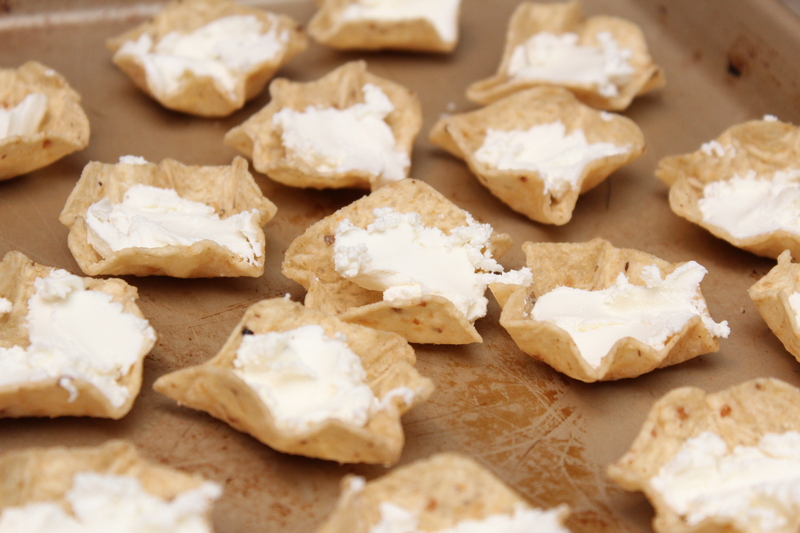 Fill each chip with around 1 tsp of goat cheese. 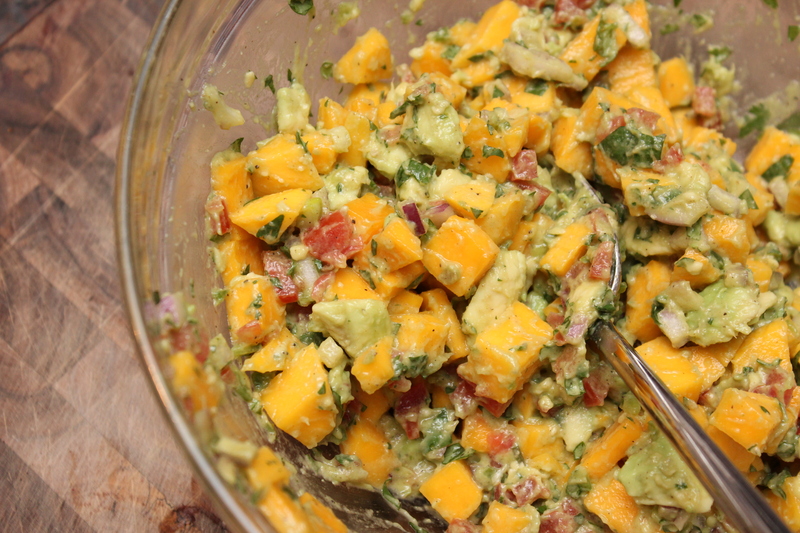 Place on a cookie sheet and bake until the cheese has started to melt, around 10-15 minutes. Remove from the oven. 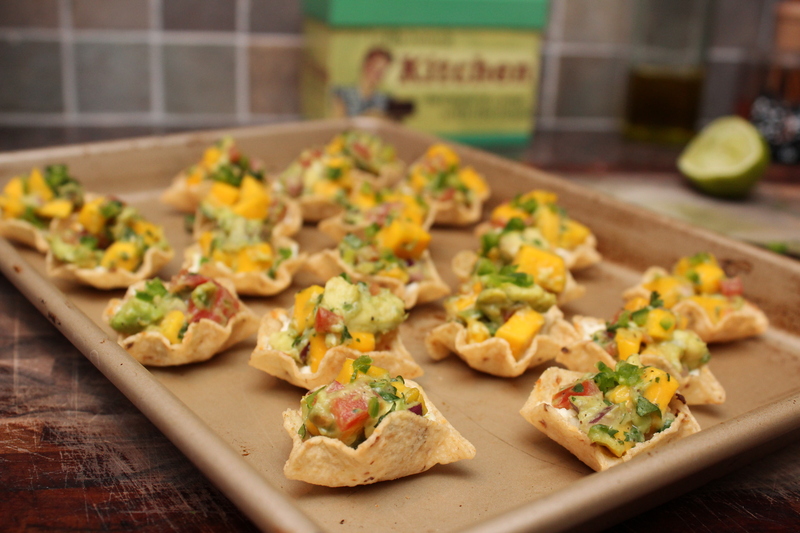 Top each chip with a teaspoon of the mango salsa. Put back in the oven for 5 minutes. Sprinkle with the remaining tbsp of jalapeños and serve warm.